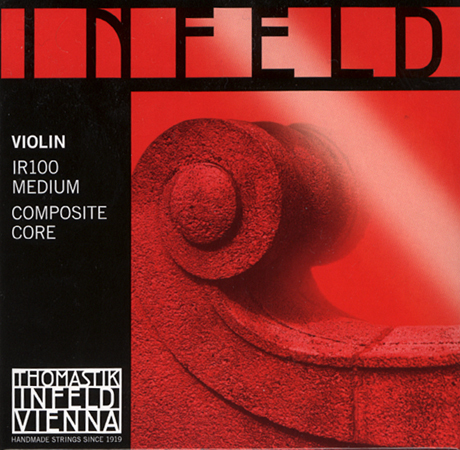 At present there are two types of INFELD VIOLIN strings, whereby the RED set will produce a rather dark sound on the majority of violins, while the BLUE set will tend to bring out the instrument's brilliance. Tonal balance, playing characteristics at any given position and string response are excellent throughout. This is possible due to homogenous string tension at various pitches and design parameters which balance the overall behaviour of the set irrespective of the combination of strings. Using the INFELD VIOLIN system, both the violinist and the violin maker will find that the instrument can be optimized in a very short time.